Crushed Sand manufactured from Stone. • Usage: Mining, construction, etc. With wide range of relevant products, we have been efficient in providing Crush Sand to our clients. It is widely used in building construction. We are one of the trusted companies of Construction Crush Sand. Leveraging the skills of our qualified team of professionals, we are instrumental in offering a wide range of Crushed Sand. In order to cater the diversified demands of our clients, we have been able to provide a unique range of Crushed Sand. 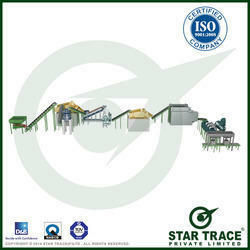 We are among the renowned organizations of the industry engrossed in providing supreme Crushed Sand. As a quality driven enterprise, we are engaged in providing a wide range of Crushed Sand. Artificial crushed sand with high quality and strength , less consumption of cement .